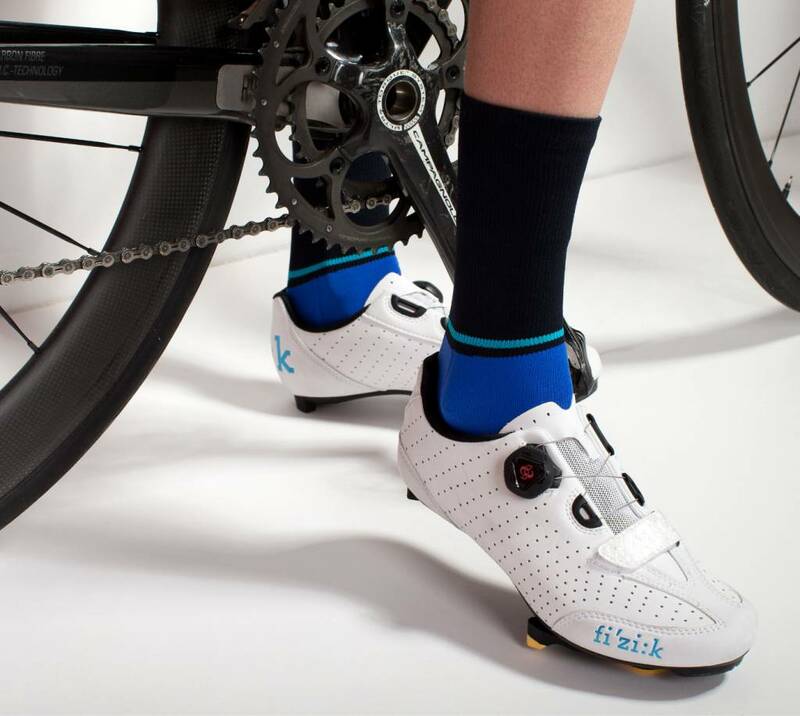 Tricolor women's cycling socks from Susy are extremely comfortable. 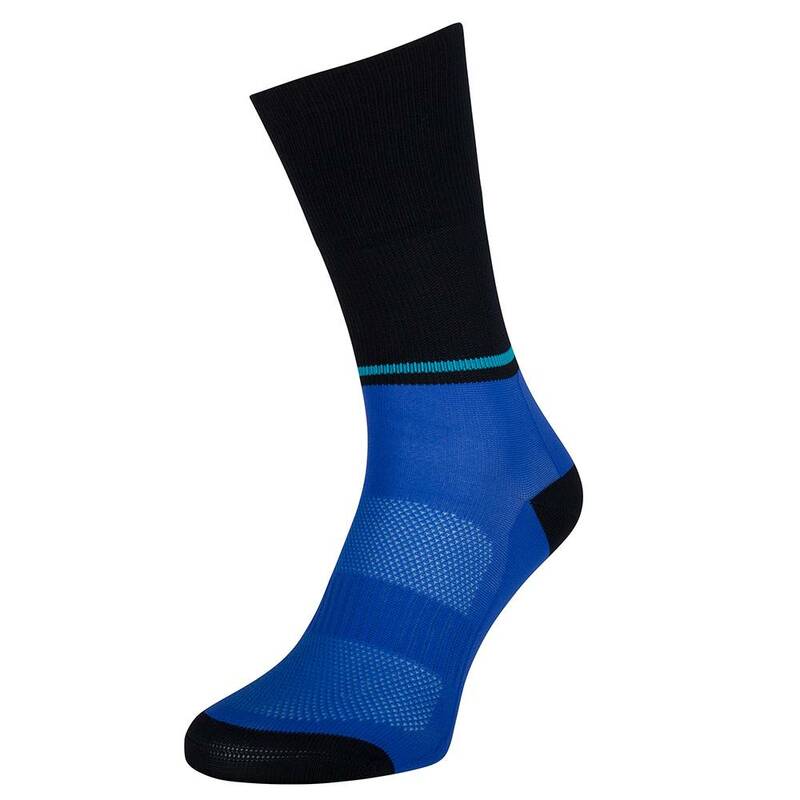 By using Climawell yarn the socks are antibacterial and you also have less problems with sweaty feet. 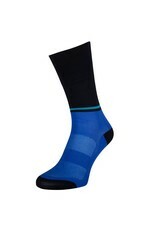 The colors that you can find in these cycling socks are night, blue and aqua. 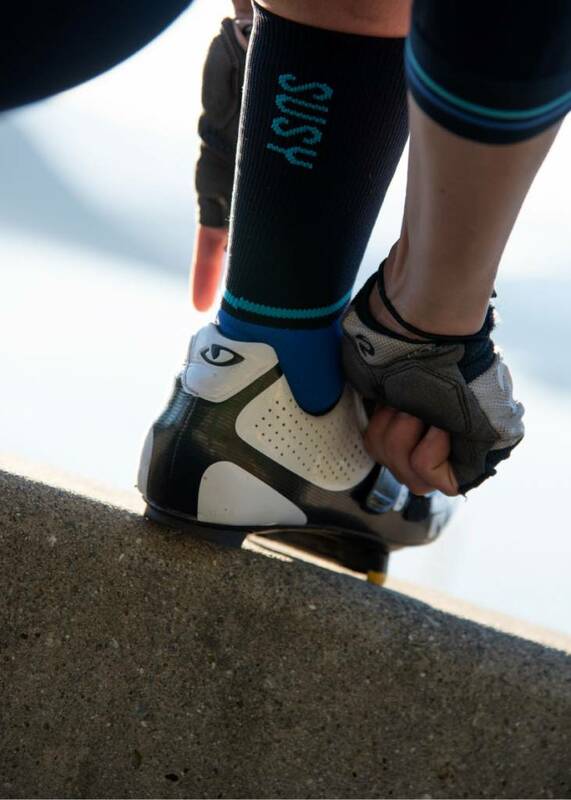 You can find the Susy logo at the back of the cycling sock. 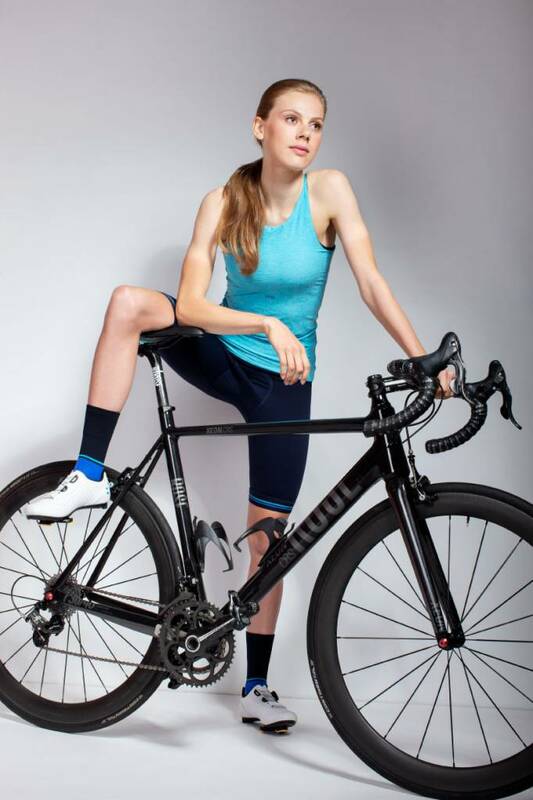 The length of the ladies' cycling sock is high. 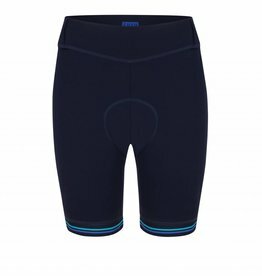 The sock fits well. 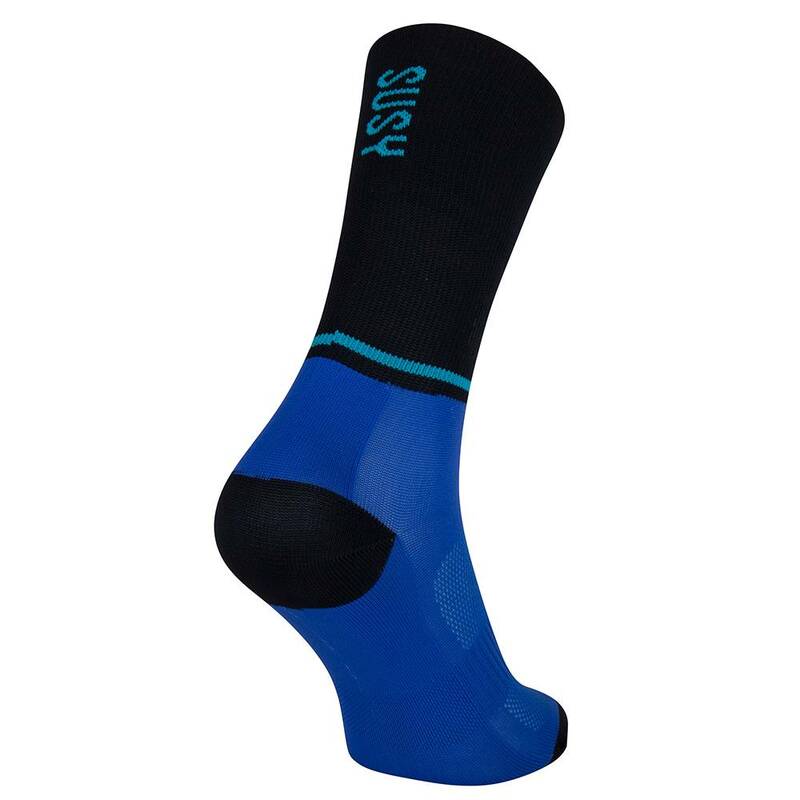 The Susy cycling socks are made in the Czech Republic.